No question, this is quintessential Reginald Hill. 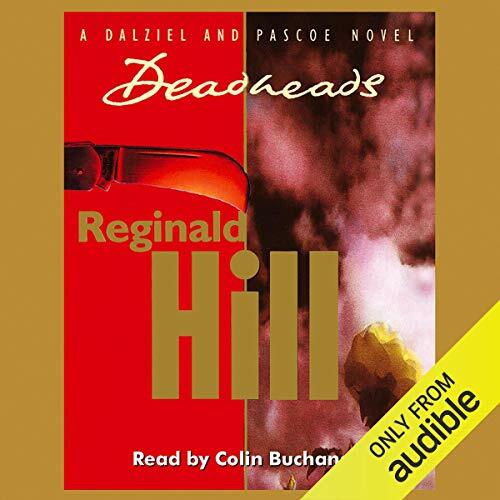 I like Dalziel and Pascoe novels because of the interaction between characters, as well as the non-interaction. Not just anybody can write a conversation, but most of the really good writers still can't write two story lines about the same story. Hill can. He takes Pascoe down a path, parallel to his loving wife. She's not investigating, but she uncovers things, in just normal conversation, that, if Peter only knew, could solve the puzzle, or at least could lead him to a solution. This case is no exception. Fat Andy even resolves more of the matter, while at a seminar at the Yard. The reader is brilliant. I can see the characters speaking, without having to hear "Pascoe said," or "the Fat Elf replied." He definitely has an ear for accents. So why do I rate it 3, instead of 5? I'm not satisfied with the end of the case. I won't spoil it, but I was less than satisfied with the justice of it all. I know that real life detectives don't always find justice in a neat, clean package. I also know that the ending won't stop me from reading more of the series; I've selected the other title that Audible has and will gladly listen to any more they offer. If you're thinking of this as your first intro to Dalziel and Pascoe, enjoy it for the interaction, the background painting, the descriptions (Wieldy's ugly face is superb!). Maybe read another first, and go back to this as a background piece, to fill in the history. Just don't quit because it's less than Hill's best. Another brilliant combination between author and narrator.